Lindsey Litton talks with Evie King. Lindsey Litton talks with Stacy Bilodeau. Lindsey Litton talks with Rebekah Sanderliln. Lindsey Litton talks with Maria Cordova. Lindsey Litton talks with Krista Anderson. Lindsey Litton talks with Yvonne Combes. Lindsey Litton is interviewed by Alisa. Lindsey Litton is interviewed by Givetern Alisa. Licensed Mental Health Counselor and Licensed Professional Counselor Dinah Dziolek sits down with Lindsey Litton to discuss the hardships military life can put on families and marriages. Lindsey sits down with Christina Laycock, fellow milspouse, 2016 Beale AFB Military Spouse of the Year. Having grown up in a military family and then becoming a military spouse, Christina is no stranger to military life. Christina shares her insight on education and career resources and how milspouses can take an active role in making the life they want to have. Lindsey Litton sits down with MHN Brand Ambassador Jillian Alexander to discuss the importance of self care for milspouses and how to embrace the journey of military life. Creator of the app Organized Chaos Ashton Reagin sits down with Lindsey Litton to discuss steps milfamilies can take to keep their lives organized in the midst of chaos. Real estate investor Victoria Griggs talks with Lindsey about differences in her career and selling real estate, and why investing is a good option for milfamilies. Chiropractor Bonnie May and host Lindsey LItton speak about the importance of keeping physical and mental health during a PCS. Lindsey is joined by guest Kayla Roof, who shares her tips on starting a business as a military spouse. Hiring our Heroes Deputy DIrector Lindsay Teplesky shares what you need to know before PCSing to Colorado Springs in the second episode of the series. Realtor and two time JBSA Lackland Navy Spouse of the Year Lissa Navarro shares everything she wishes she knew before she PCS’ed to San Antonio in the first episode of our new series. Charlene Wilde, Assistant Secretary of the American Armed Forces Mutual Aid Association talks with Lindsey about the importance of preparing for the future. Lindsey sits down with President of the Military Spouse Advocacy Network to discuss resources for new military spouses. Lindsey is joined by MHN Client Relationship Manager Katlan Miranda Costa to discuss the importance of working with a realtor who understands military life. Lindsay Hinger is on a mission to provide support to spouses of deployed service members and also support military owned businesses. Those two passions come together through her custom gift-box business. Lindsey and CC Gallagher, owner of Military Quality of Life Consulting LLC talk about the challenges and benefits of starting a small business as a milspouse. Minister Megan Brown speaks with Lindsey on how to get connected into the milspouse community and maintain friendships throughout moves. Our next guest is a fellow military spouse, and Program Manager with National Military Family Association, Allie Jones. Allie works remotely with NMFA to help military spouses pursuing education and employment. As a remote worker she understands the pros and cons of working remotely. She gives us tips and advice to make that lifestyle work, and how to pitch remote work to your current company if you are thinking of making the change. Our next guest is fellow military spouse and CEO of Firma IT Solutions, Rodney Gullatte Jr. Rodney was recently named a Colorado Springs Business Journal 2018 Rising Star. As the father of two (soon to be three) girls and a military spouse, Rodney is no stranger to the struggles a military family can face.Dubbed the “King of Networking” by Lindsey, Rodney is a pro at getting connected into a new community after a PCS. Less than 2 years after PCSing to Colorado Springs, Colorado, Rodney’s cyber security company became the #1 cyber security firm. In his episode, Rodney discusses the way he quickly connects into his new communities and how that can positively impact a milspouse owned business. After 10 years, 6 moves, 2 kids, and limited traditional job opportunities, Erica McMannus had to get creative with a way to find fulfillment and income that meshed well with the transient and unpredictable military lifestyle. So she created MadSkills as a way to help other military spouses find real remote work that can move with them each PCS. This week’s guest is a fellow milspouse and host of the web series Moving with the Military, Maria Reed. Maria Reed provides makeovers at no cost to military families and features their makeovers on her web series. After having a career in film and television Maria found herself looking for a new career that was stable enough for her to grow a family while her husband was frequently away on TDYs and deployments but could grow with her as they PCSed. Maria created Moving with the Military to help celebrate military family life while also helping them transition and feel at home in their new locations. Fellow military spouse, 10x author, Employment Specialist and Intern Facilitator with Mt. Carmel, Janet Farley is with Lindsey Litton. She is an advocate for military family financial literacy. Her latest books “Military Transition” and “Military Life 101” guide military families at different points in their military career. Military spouse and MilHousing Network Brand Ambassador, Crystal Constable. As a Brand Ambassador, Crystal connects military families with our network agents in their area to buy or sell their homes. Beyond that, she is able to use her knowledge and experience to mentor other families during a crazy time in any military life: the inevitable PCS. Brandon Tomlinson: Brandon Tomlinson is a preferred MHN Realtor and has experience working with military families in all situations. Brandon chats with Lindsey about what makes working with a military family so special and unique. Sonia Graham: In today's episode, Keller Williams Realtor Sonia Graham discusses the challenges of settling into a career while being a military spouse, and how important it is to find your tribe wherever your career takes you. Erin Ward: Being a military spouse definitely impacted Erin’s life and over the course of her many career changes, she has become a real estate agent to take control of her career. In our episode Erin Ward talks about the challenges military families face including finding affordable child care and difficulty transitioning between jobs during a PCS. Listen in to see what Erin has been doing to for the cause and what you can do to help her. Sandra Loefgren: MHN Realtor Sandra Loefgren was lucky enough to spend her entire military spouse tenure in San Diego and she has been able to serve fellow military families to help them buy and sell their homes in the area. Sandra shares what she loves about being a realtor as well as a few tips about balancing work and family life. Listen in! 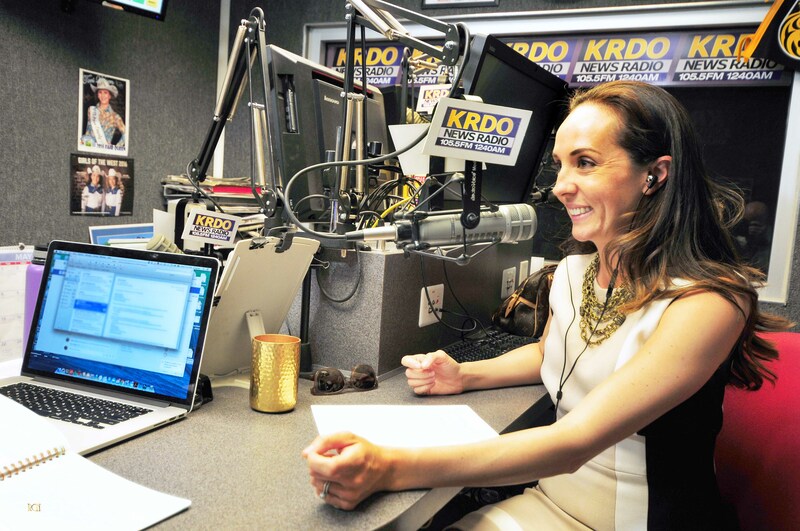 Lindsay Teplesky, 2018 Fort Carson Spouse of the Year, joins host Lindsey Litton to discuss life as a military veteran and military spouse. Lindsay describes how transitioning from active duty to a civilian took her out of her comfort zone when finding a new career. In this week’s episode we welcome Lana Rodriguez, a fellow milspouse and MilHousing network realtor based in Colorado Springs. Lana’s team has been in business for about 4 years and has sold over 400 homes, 90% of which are military. Kristen Christy is Air Force Military Spouse of the Year, and is up for 2018 Military Spouse of the Year! In our next MilHousing Nation episode, we discuss the work that Kristen Christy has been doing in the military community and how she is using her MSOY title to continue to help those struggling with mental health. The military often forces families apart. But what about choosing to live separately? On this MilHousing Nation episode Shannon Rauen discusses her family’s decision to Geo-Batch while her husband is across the country for school. Listen to our episode to see why this option makes sense for 43% of military families. Amy Ward shares her career journey with us as well as advice for military spouse employment opportunities and mobile careers. Are you PCSing soon and worry about the financials? Christine Maxwell of Her Money Moves knows the ins and outs of military life. On our MilHousing Nation podcast episode we discuss her tips and tricks to a financially successful PCS. The Colorado Springs housing market has never been like it is now. Tulio Pena has been a realtor in the Springs for over 20 years and has seen the market explode. He’s also helped plenty of military families find their homes. Lindsey and Tulio talk about what it’s like to be an agent with MilHousing Network and the benefits of working with military families. Laura Early has PCSed plenty during her time as a military spouse. After finding it difficult to find a new career every time she moved, she created Wise, a virtual assistant service that matches military and veteran spouses with small businesses. On our very first MilHousing Nation episode, Lindsey and Laura discuss the difficulties of having a career as a military spouse and the benefits of a mobile career.